In both developed and developing countries, pharmaceutical management is a critical issue due to escalating health care costs and increased pressure to improve access to services. The past few decades have seen the role of pharmacy staff expanding. For example, in many resource limited settings burdened by HIV, the complexity of HIV-related medication, the increased life span of HIV-positive patients that comes with antiretrovirals, and the comorbidity of HIV/AIDS with other diseases has broadened the role of the pharmacist in ensuring proper counseling, monitoring, and adherence and preventing the development of HIV drug resistance. Access to pharmaceutical drugs for the average consumer remains a challenge in the developing world. An example of innovation for pharmacy services is the ROWA automated dispensing system (ADS), which includes a mechanical arm, an ATM-like dispensing unit (called a Pharmacy Dispensing Unit (PDU)) and an accompanying computer system that allows pharmacies to store, count, and dispense medications automatically or with minimal human involvement. 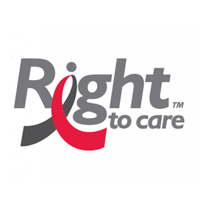 In October of 2012, RTC implemented a pilot project that installed the first ever ADS in a public health care facility in South Africa at the Themba Lethu Clinic. Based on evidence available from other settings, it is expected that introduction of the ADS in these facilities may improve pharmacy stock control and allow for extended pharmacist-client interactions. 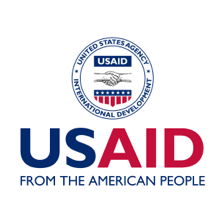 The overall aim of this study is to evaluate the introduction of the ADS as a mechanism for improving pharmacy services in a developing country setting plagued by a high burden of chronic disease, including HIV.